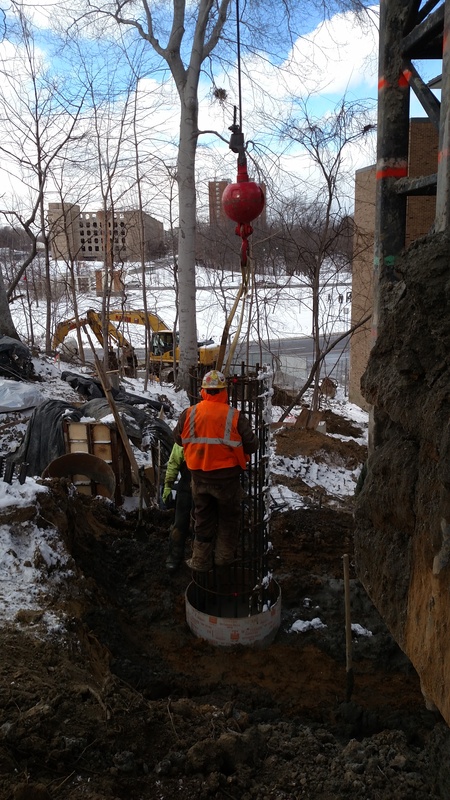 Grout Systems installed 290 – 12" to 36" diameter Augercast Piles into rock to provide structural support of 400 LF of elevated walkways and decks at the new Perkins Wildlife Center at the Cleveland Museum of Natural History. The Wildlife Center was constructed on approximately 2 acres of land covered with mature Oak, Maple, and Beech trees. The top of pile elevations varied 36’ along the site. 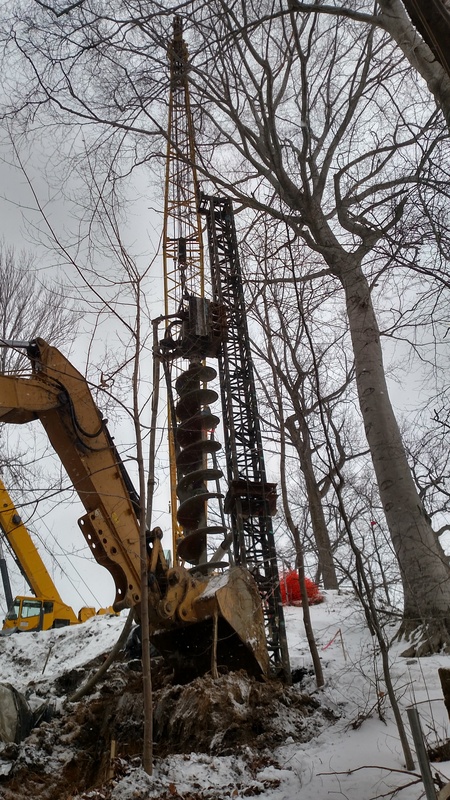 Due to difficult access conditions, the project required a special low headroom rig and a large crane with swinging leads to reach the piles. 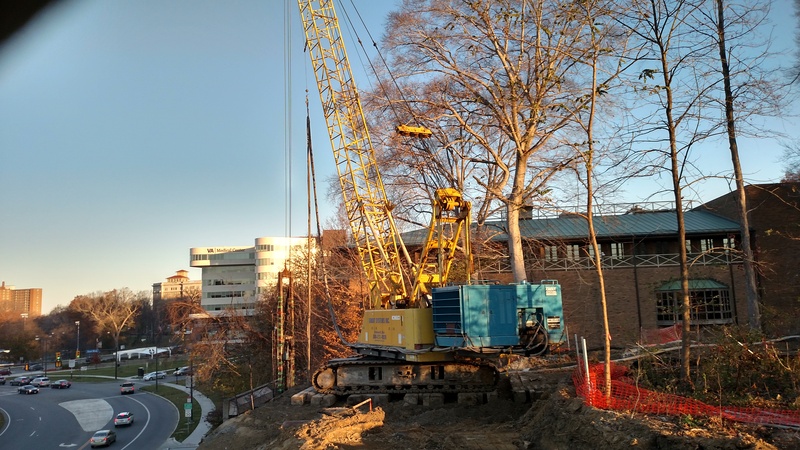 The large crane was used to reach pile locations up to 70’ away. We took great care not to disturb existing root systems and tree tops above. Through strategic planning, our crane worked above, below and sometimes in the existing canopy with very minimal contact. 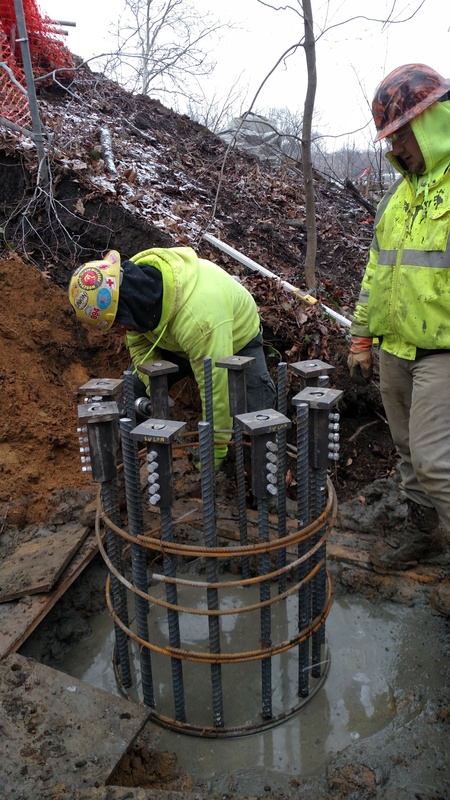 The majority of all the piles were installed with the crane and live leads. 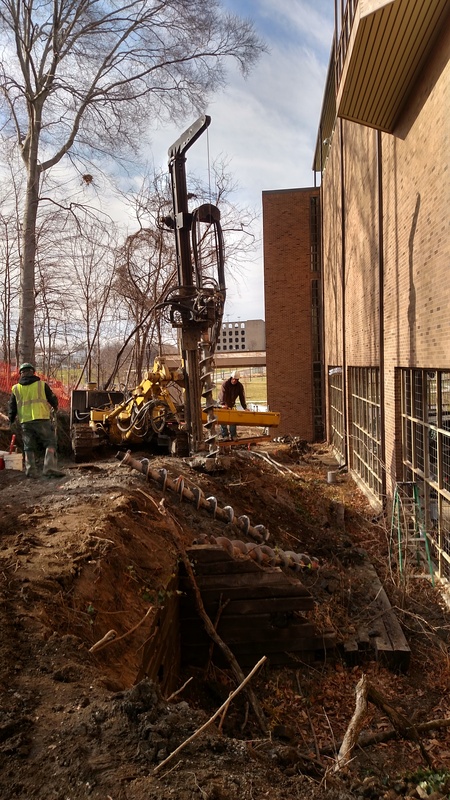 A low headroom rig was then mobilized to drill the remaining piles that could not be reached. 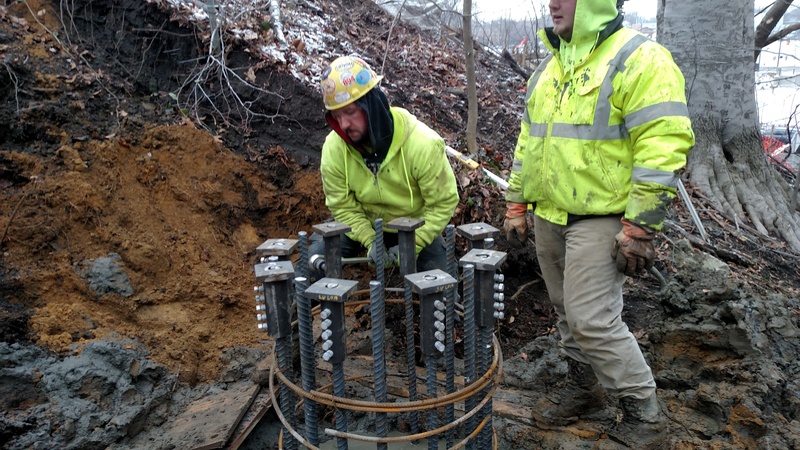 Six Dynamic Pile Load Tests (ASTM 4945-12) were performed.